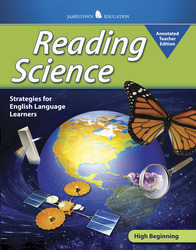 This series helps English language learners master the academic vocabulary that is the cornerstone of understanding content-area texts. With content that is engaging and written at a level that is not frustrating, this exciting new series focuses on core reading strategies successful readers use in content-area courses. Special attention is paid to both conceptual vocabulary and general academic words that are needed in any content-area course.